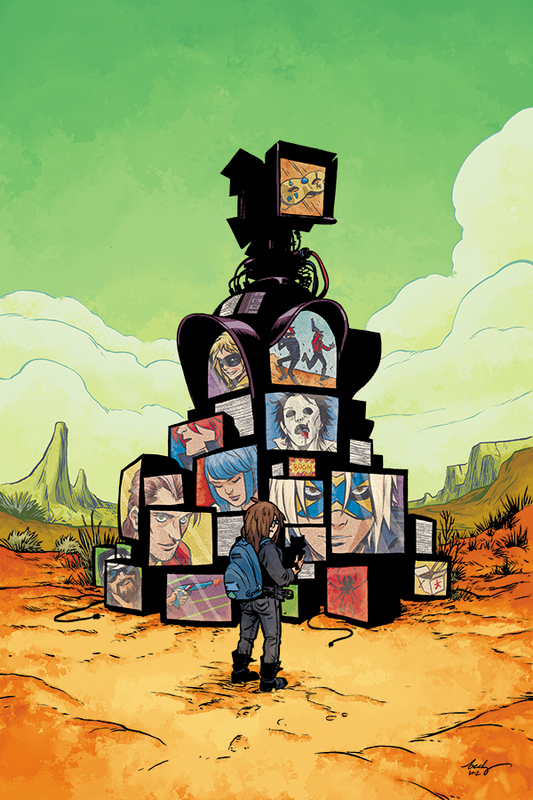 Gerard Way’s The True Lives of the Fabulous Killjoys Hits June 2013! The time is coming near! Since it was first announced, people have been anxiously awaiting the release of The True Lives of the Fabulous Killjoys. Gerard Way, that’s why. Anyone who has read Way’s Umbrella Academy knows exactly what I mean. The My Chemical Romance front man shocked the world when he penned The Umbrella Academy from Dark Horse Comics, so much so that he won an Eisner Award in 2008 for Best Limited Series. Now, he’s back with The True Lives of the Fabulous Killjoys, and you know it’s going to bring back the amazement we felt when first reading Way’s first comic. Check out the press release from Dark Horse below, and get ready! MILWAUKIE, OR, DECEMBER 17­—In 2009, when Dark Horse first announced a new project from Grammy-nominated frontman turned Eisner-winning comics writer Gerard Way (The Umbrella Academy), the response from music and comics fans alike was overwhelming. Now, Dark Horse is thrilled to announce that Gerard Way, Shaun Simon, and Becky Cloonan’s highly anticipated sci-fi epic will finally see publication in 2013! Welcome to Battery City, where the disease is the cure! In My Chemical Romance’s critically acclaimed album Danger Days: The True Lives of the Fabulous Killjoys, the Killjoys fought against the tyrannical megacorporation Better Living Industries. It cost them their lives, save for one—the mysterious Girl. Today, the followers of the original Killjoys languish in the desert while BLI systematically strips citizens of their individuality. As the fight for freedom fades, it’s left to the Girl to take up the mantle and bring down the fearsome BLI or else join the mindless ranks of Bat City! As announced at New York Comic Con, an early look into this world will be published as part of Free Comic Book Day 2013, with the first issue hitting stands the following month on June 6!